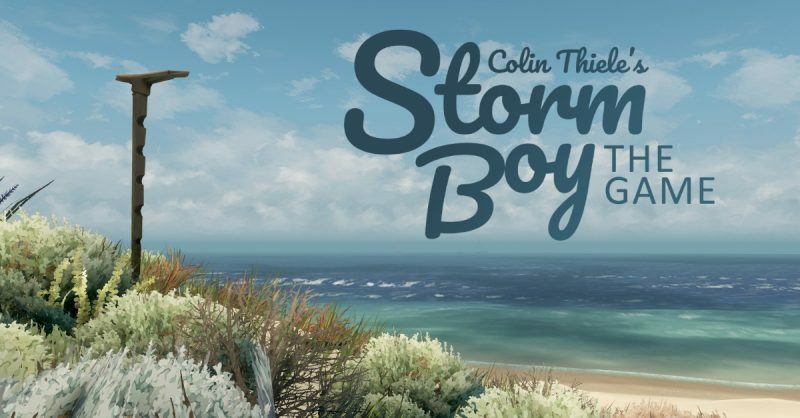 Storm Boy’s serene visuals and calming melodies are comforting for the short time you visit, it’s art style is sweet and endearing. It tells a very short version of Colin Thiele’s 1964 children’s novel ‘Storm Boy’ , the story of a young boy and his best friend, his adopted pelican Mr Percival, this is not retelling of a novel but a 15 minute (depending on how you can spend on each activity) string of mini experiences tied together by a short walk on the beach by either walking left and right, featuring a short sentences for the sake narrative in much the same manner as a book for very young children. There are a dozen mini experiences and they range from playing fetch with your pelican pal, unearthing 100 easily found cockles on a sandy shore a drawing in the sand with a stick for as long as you please, these don’t exceed the capabilities of a child old enough to hold a controller although they may fail to hold attention for too long. Although this game is clearly aimed at young children, it provided a jarring twist, ending with the sudden and tragic death of Mr Percival the pelican, players then control Mr Percival’s spirit as he flies to his favorite perch for the last time, i was quite shocked by this as there is little in the way of set up, it felt like a strong emotional moment in an otherwise calm and subdued game, not that it was handled distastefully by itself but it was quite unexpected and may cause upset for very young players, which up until that point is who the game seems to be designed for. Controller function may be more limiting than a mobile device screen such as a tablet or even the Nintendo Switch making this hard to recommend for standard home consoles, and at a smaller price point, Android and IOS would appear to be the smarter option.